To say the five cheese sauce is "rich" is to criminally undersell the Olive Garden's ability to melt together cheese and butter. The sauce has a noticable tendency to completely fill a given piece of penne, causing an altogether unnerving "splurt" of pure cheese into your mouth if consumed carelessly. This dish in particular badly needs a topping for balance - one can only handle so much of a good thing. Pictured here is the Cheesetube Extreme, with a gaze into the abyss of a single tube forming the focal point of the work. 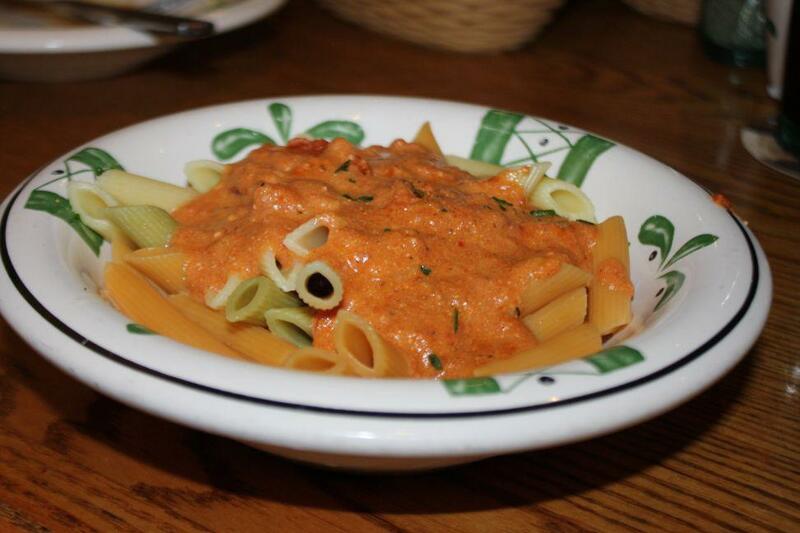 One cannot help but notice that penne seems to draws the eye much as it draws in thick, creamy sauce.